Do you love the movie Frozen at your house? Throw your kids the best birthday party ever with these birthday party ideas to guide you! Let your kids tell their own Frozen stories with these sticker story starters. These will keep kids busy and having fun at the birthday party! 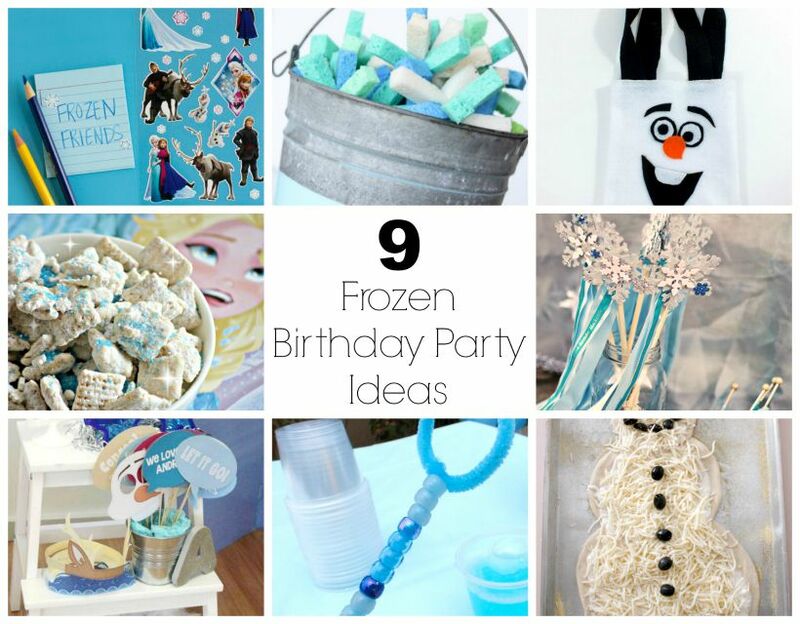 Need an exciting activity for your Frozen birthday party? These snowflake water bombs are cute, easy to make, and fun! Party guests can pretend they are Elsa with their DIY magic wand. Ribbon, snowflakes, and stick wands are all you need to craft these. Make blowing bubbles extra special with these Frozen inspired bubble wands. Use pretty beads to decorate your wand! String chunky plastic beads onto string to make icy diamond bracelets. Little guests can make their own and bring them home as a party favor! Mix up this tasty snack for all of your guests. Use festive snowflake sprinkles to make it Frozen themed. Make these Olaf party favor bags for each one of your guests to take home. They will remember how much fun the party was with this adorable DIY bag. Use these DIY Frozen props to have some fun taking photo booth pictures. These props are easy to craft, and your guests will like dressing up with them. Guests can whip up their snowman pizza with this super fun recipe. This is a delicious activity that everyone will love.